Roman Reference: Alexa is down a further 11% to 83,233 while apartments (now 507) grew a handsome 10% (20% annualized. Paris Reference: Alexa instead is improving handsomely 13% up to 150,000, on apartments the results are even more flattering. With 158 apartments the growth rate is 85% (170% annualized)! Copenhagen Reference: is down 14% to 630,000. Apartments growth, with 13 now, is ok on a percentage basis, over 40%. Cities Reference: is also going 10% downwards to 684,000. 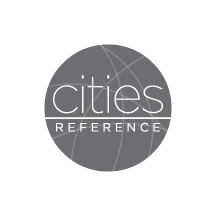 New Logo for cities reference and it's city sites are ready!